I was 2 months behind with late charges but now have 2 months late charges and I am one month behind on my rent. I was referred to community action by valor for veterans and they could pay just 1 months rent without late charges. My Mother and Father recently passed and I was taking care of my Mother who had stage 4 cancer. I applied for work every where and finally got approved by lyft and uber to drive. With everything going on I got behind but now I’m back on track and can pay rent. I just cant make up back rent with late charges. 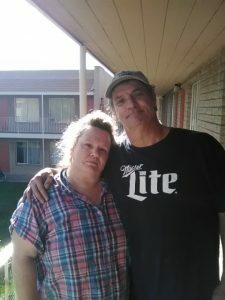 traceynazarenus on Crusaders Valor for Veterans™ #richardb We helped with half the rent $350 so they did not lose their home.